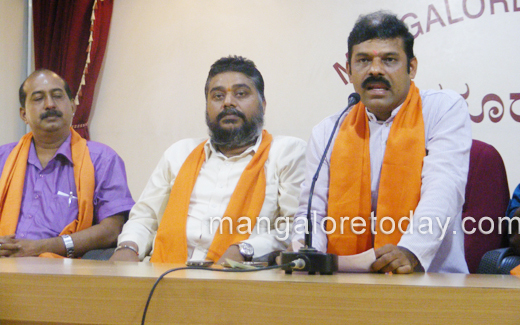 Mangaluru Aug 5, 2016: Sri Rama Sene activists have justified their recent act of raiding the St. Thomas Aided Higher Primary School at Bondanthila near Neermarga on the grounds that the school was unauthorisedly teaching Arabic language to the students. 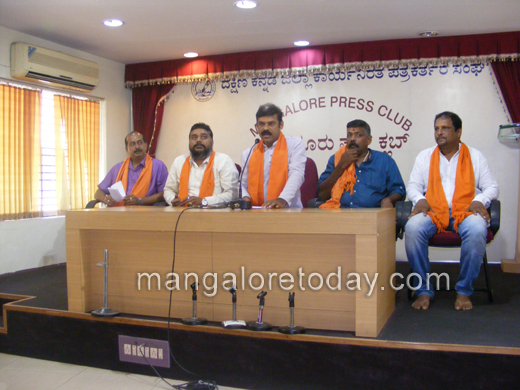 Addressing media persons at Press Club on August 5, Friday, State President of Sri Rama Sene Mahesh Kumar alleged that Arabic language was forcibly taught in the institution and there was no such government order to teach Arabic language. He also claimed that his organisation swung into action after gathering credible information regarding the same and added that a few parents were also blaming that Arabic language was taught forcibly to the students. He said the Sri Rama Sene strongly condemned illegal teaching of a language as it makes way to terrorize the children. If such acts continued then a state-wide stir will be carried out, he warned. 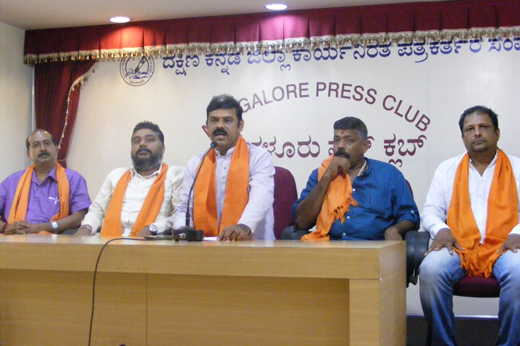 He further accused the school administration of registering false cases against the Sri Rama Sene activists and demanded to withdraw the same immediately. Sri Rama Sene Secretary Praveen Vaalke, Guru Pandeshwar, Harish Shetty and others were present.